Districts, schools, administrators, and teachers are continuously in the spotlight and rightfully so. Educating our youth is an essential part of our national infrastructure. Education has such a profound impact on society as a whole that those responsible for educating should receive extra attention. These people should be celebrated and championed for their efforts. However, the reality is that education as a whole is looked down upon and often mocked. There are so many factors beyond any one person’s control that can strip school effectiveness. The truth is that the majority of teachers and administrators do the best they can with what they are given. Each school is different. There are schools that unquestionably have more limiting factors than others when it comes to the overall effectiveness. There are several factors that many schools deal with on a daily basis that strip school effectiveness. Some of these factors can be controlled, but all will likely never entirely go away. Attendance matters. A teacher cannot possibly do their job if a student is not there. While a student can do the makeup work, it is likely that they learn less than they would have by being there for the original instruction. Absences add up quickly. A student who misses an average of ten school days a year will have missed an entire school year by the time they graduate high school. Poor attendance severely limits a both a teacher’s overall effectiveness and a student’s learning potential. 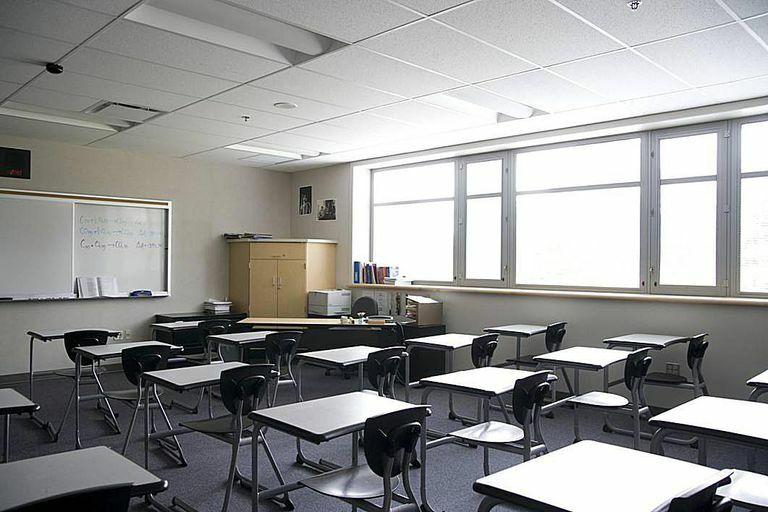 Poor attendance plagues schools across the country. Excessive tardiness can be hard to get under control. For elementary and junior high/middle school students, it is difficult to hold them accountable when it their parent’s responsibility to get them to school on time. Junior high/middle school and high school students who have transition time between classes have multiple opportunities to be tardy each day. All of this time can quickly add up. It minimizes effectiveness in two ways. First a student who is routinely tardy misses a lot of class when you add up all that time. It also disrupts the teacher and student each time a student comes in tardy. Students who routinely leave early also minimize the effectiveness in the same way. Many parents believe that teachers do not teach the first fifteen minutes of the day and the last fifteen minutes of the day. However, all of this time adds up, and it will have an impact on that student. Schools have a set start time and a set end time. They expect their teachers to be teaching, and their students to be learning from the first bell until the last bell. Parents and students who do not respect that help strip school effectiveness. Dealing with discipline issues is a fact of life for teachers and administrators for every school. Each school faces different types and levels of discipline issues. However, the fact remains that all discipline issues disrupt the flow of a class and take valuable class time away for all students involved. Each time a student is sent to the principal’s office it takes away from learning time. This interruption in learning increases in cases where suspension is warranted. Student discipline issues occur on a daily basis. These continual disruptions do limit a school’s effectiveness. Schools can create policies that are rigid and strict, but they will likely never be able to eliminate discipline issues altogether. Teachers will tell you that those students whose parents attend every parent teacher conference are often the ones whom they do not need to see. This is one small correlation between parental involvement and student success. Those parents who believe in education, push their kids at home, and support their child’s teacher give their child a better opportunity to succeed academically. If schools had 100% of parents who did those three things listed above, we would see a surge in academic success in schools across the country. Unfortunately, this is not the case for many children in our schools today. Many parents do not value education, do not do anything with their child at home, and only send them to school because they have to or because they view it as free baby sitting. Give a teacher a group of motivated students and you have a group of students in which the academic sky is the limit. Unfortunately, many students these days are not motivated to go to school to learn. Their motivation to go to school comes from being at school because they have to, participating in extra-curricular activities, or hanging out with their friends. Learning should be the number one motivation for all students, but it is rare when a student goes to school primarily for that purpose. The school used to be the focal point of every community. Teachers were respected and looked at to be pillars of society. Today there is a negative stigma associated with schools and teachers. This public perception has an impact on the job that a school can do. When people and the community talk negatively about a school, administrator, or teacher it undermines their authority and makes them less effective. Communities that support their school wholeheartedly have schools that are more effective. Those communities who do not provide support will have schools that are less effective than they could be. Money is a crucial aspect when it comes to school success. Money affects key issues including class size, programs offered, curriculum, technology, professional development, etc. Each of these can have a profound effect on student success. When there are educational budget cuts, the quality of education each child receives will be affected. These budget cuts limit a school’s effectiveness. It does require a significant monetary investment to adequately educate our students. If cuts are made teachers and schools will figure a way out to make do with what they have, but their effectiveness will be influenced in some way by those cuts. The overemphasis of standardized testing is limiting schools in their approach to education. Teachers have been forced to teach to the tests. This has led to a lack of creativity, an inability to implement activities which address real life issues, and has taken authentic learning experiences away in virtually every classroom. 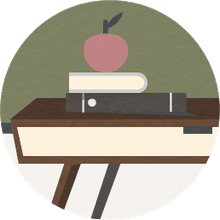 Due to the high stakes associated with these assessments teachers and students believe all their time should be devoted to preparing and taking tests. This has had a negative impact on school effectiveness and is an issue that schools will find it difficult to overcome. Education used to be a well respected profession. That respect has increasingly disappeared. Parents no longer take a teachers word on a matter that occurred in class. They talk terribly about their child’s teacher at home. Students do not listen to teachers in class. They can be argumentative, rude, and discourteous. Some of the blame in a case like this falls on the teacher, but students should have been raised to be respectful to adults in all cases. A lack of respect undermines a teacher’s authority, minimizing, and often zeroing out their effectiveness in the classroom. A bad teacher and particularly a group of incompetent teachers can derail a school’s effectiveness quickly. Every student who has a poor teacher has the potential to fall behind academically. This problem has a trickle down effect in that it makes the next teacher’s job that much harder. Like any other profession there are those who should not have chosen teaching as a career. They simply are not cut out to do it. It is essential that administrators make quality hires, evaluate teachers thoroughly, and remove teachers quickly which do not live up to the school’s expectations.